A potentially unwanted program is a program that may be unwanted, such as spyware. PUP is a piece of software that is also downloaded when a user downloads a specific program or application and sometimes act very similarly to viruses or spyware. 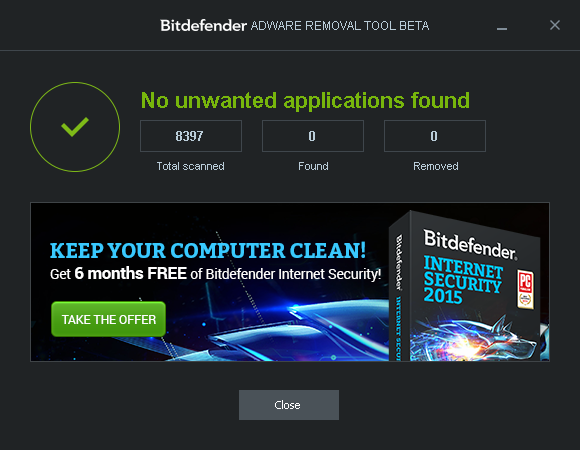 Bitdefender Adware Removal Tool is available as a single 41,8 MB executable file. No additional files are required: the user can simply download the utility and run it immediately. PUP includes advertising toolbars, questionable extension for browsers, adware, as well as programs that reduce the performance of the system and affect to its normal work. The utility is portable and ready to use immediately after you have downloaded it. Run the downloaded file, accept the user agreement and click “Get Started”, to start testing the system for various types of PUP. The scheme of work in the Removal Tool is also extremely simple. No need to choose the type or location of the scan, do some customization. Enough to accept the license agreement and click Get Started. 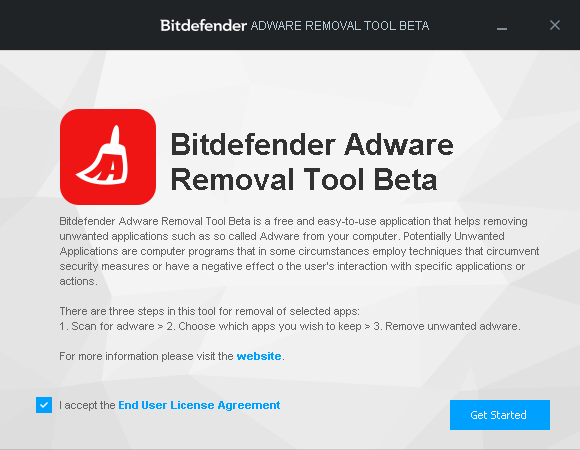 Therefore Bitdefender Adware Removal Tool for PC – this is the best choice for those users who are not able to find / remove advertisements from other programs. 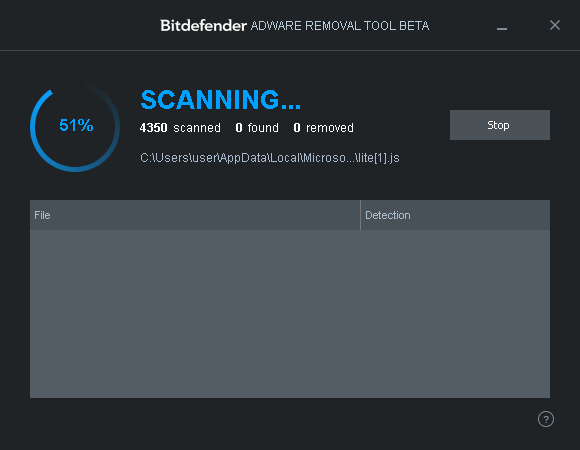 Bitdefender Adware Removal Tool does not offer any settings or options for scanning. Check takes a few minutes depending on the number of programs installed on the system – typical of the area checked to install software. At the end of the scan, in the case of – shows a list of threats, where you can select applications that you want to delete. The process of finding advertising components takes a few minutes (about 5), after which the program generates a list of detected threats. The user can select any or all of the threat list and start deleting them using the Removal Tool.